China and India are rising global powers, thanks to a burgeoning middle class, huge export markets and military might. So why wouldn't they take the western retreat from the Pacific as an invitation to dance? But their support comes with a crippling debt levels and the potential for a favour to be called in down the line. 'Other countries in response to one mass shooting have been able to craft laws that almost eliminate mass shootings,' said Barack Obama earlier this month. 'Friends of ours, allies of ours, Great Britain, Australia — countries like ours.' 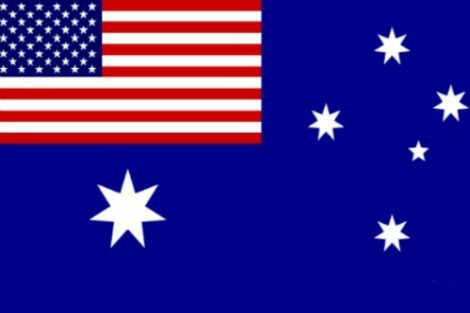 Thankfully, America is not like Australia. Though many Australians feel a natural envy for our confident, successful cousin, many disturbing developments — Tea Party style politics, anti-immigrant nativism, know-nothing anti-science — have roots traceable to the US. Insurer AAMI's 'Rhonda and Ketut' Balinese love story, teased out over four commercials and three years, has come to its soapy end. Whether you loved it or cringed, its camp, cocktail soaked tentacles have penetrated the Australian mainstream. But the knowledge Australians have for our closest Asian neighbour is poor. According to a DFAT report released last year, 30 per cent of respondents didn't know Bali was part of Indonesia. 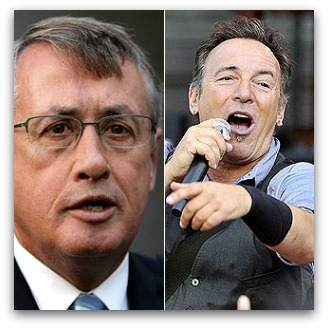 In Australia, land of the cultural cringe, the social elite mainly consume middle- and low-brow culture: mainstream cinema, best-sellers, and Bruce Springsteen, for example. Swan's admiration of Springsteen is positive in its belief in the legitimacy of mainstream taste, which is dictated more democratically than highbrow taste. There is nothing radical about fixing a carbon price. While our politicians and pundits quibble, the rest of the world is already implementing its commitments. Gillard's greatest challenge in selling her carbon scheme is in normalising it in the public mind. Safran's stunts — such as hoodwinking a Palestinian sperm bank into donating Palestinian sperm to the Israelis, and vice versa — are cringe-making. But they are in the context of a cogent and pithy argument that has serious intent. Powerful prose from a young indigenous woman that makes you remember the feelings of your home, your family, your losses and regrets, and yet makes you determined to continue. Theatre critic Geoffrey Milne took time off this summer to write two books on Australian theatre. What has drawn him into theatres more than 100 times a year over the past three decades—as a journalist and as a theatre historian? His excuse is that his university teaching demands close acquaintance with actual performances. But that’s not the whole story. A genuine Australian story with no hint of the dreaded 'cultural cringe', there are some genuinely humorous moments amidst the tension in this film. Morag Fraser, former editor of this journal, expressed a residual unease with the very notion of ‘Australian values’, belonging as she saw it to a ‘vocabulary of expediency’ rather than of conviction. What are 'Australian' values, asks Richard Treloar. 1-12 out of 13 results.